Are you interested in streaming sports to your TV? The sports packages for PlayStation Vue and DIRECTV show that sports streaming is not yet fully developed. 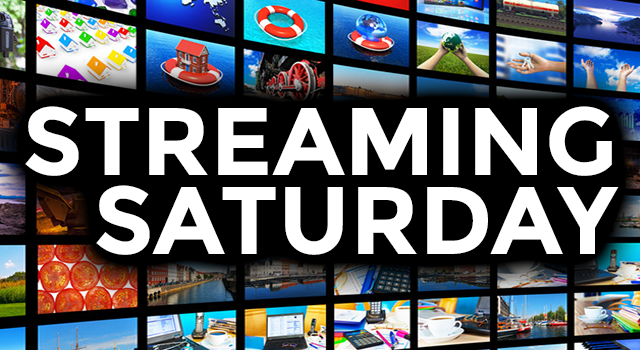 Before we talk about what is the best streaming service for sports, there’s one question we need to ask. Is streaming really the best medium to watch for sports? Due to the high-demand of most games, streaming live sports would stress the internet in your area. This could force the server crash, similar to what happened when many people tried to stream Game of Thrones’ recent premiere. In addition to unexpected crashes, sports streaming has plenty of limitations. One way to illustrate the shortcomings of streaming sports is to compare Sony’s new sports package for the PlayStation Vue with DIRECTV NOW. Sony recently announced the availability of its PlayStation Vue Sports Pack for monthly Core, Elite, or Ultra plans. While this service offers plenty of sports programming for an extra $10 per month, the service has its limitations. If you pay for this package, you won’t’ be able to stream some live out-of-market games from the national feeds of regional sports networks. For many sports fans, watching the games is what following your favorite team is all about! *Note: Viewers who already receive these channels won’t have to pay to retain this programming. Streaming Sports with DIRECTV NOW? Comparing apples to apples, let’s look at DIRECTV’s streaming service, DIRECTV NOW. This streaming package offers more channels than PlayStation Vue. This is great news for anyone who enjoys watching movies, TV series, weather, and other entertainment. It could be bad news for sports fans, though. DIRECTV NOW offers no sports coverage except for ESPN. If you’re game isn’t on ESPN, then you won’t be able to stream it through your DIRECTV NOW service. If you love sports, DIRECTV’s satellite TV service offer plenty of athletic action. It allows you to stream football and baseball with its SUNDAY TICKET MAX and MLB EXTRA INNINGS packages, respectively. If you have a Genie DVR, you’ll get limited ability to live stream any channel, with an emphasis on the term “limited.” And if you’re a diehard fan of professional baseball, basketball, football, and hockey, you can spring for DIRECTV’s entire sports package. This also gives you access to nearly every regional sports network available. The Game Mix channel, which allows you to watch multiple games at the same time. The choice between home and away team broadcasts. Seeing all the games from every team in the league. As great as DIRECTV’s satellite system is, it too has its limitations. Most importantly, DIRECTV satellite is not immune to blackouts. (The same can be said for PlayStation Vue.) DIRECTV’s Sports Pack doesn’t include any games in the Pac-12 conference, which is detrimental to fans of teams in that region. And then there’s the cost. The full boat Sports Package can set you back $70 per month on top of the $230 or so you pay for satellite TV each month. If you really want to stream sports, you have to look at your options… and your limitations. As with anything in life, you no one streaming service can be your everything when it comes to sports. Well, that’s the way things are at the moment. Right now, it seems that even streaming service is fighting hard to create the most and best original content and acquire the most titles. The addition of Sony’s PlayStation’s Vue Sports Pack could cause a shift in focus for all the streaming giants. Perhaps more companies will see that streaming sports is an untapped market that needs to be fully developed. If and when this happens, expect the current limitations on sports streaming to decrease as the options for streaming sports increase. Can you put a DIRECTV SWM multiswitch in a waterproof enclosure?